Motorized positioner / for robots - MP series - COMAU S.p.A.
Robotics - Automation - Industrial IT > Industrial Robotics > Motorized positioner > COMAU S.p.A.
MP​The positioner modules allow to rotate a working piece in a simple way and they fasten the production cycle. 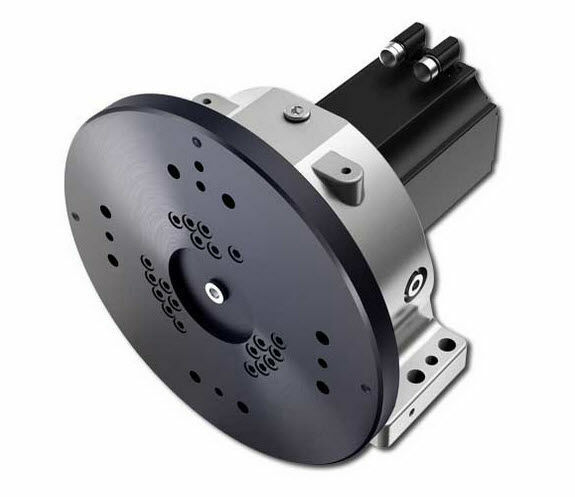 The positioner modules are made up of a motor, a reduction unit, a flange to support the equipment and a support for final assembling operations on special tools. In robot system applications, the Positioners can be managed as auxiliaries axes of the Robot and if necessary also in cooperation (with suitable software options). The available positioners are different in applicable lifting force, each version is identified by the MP acronym and a number indicating the lifting force.